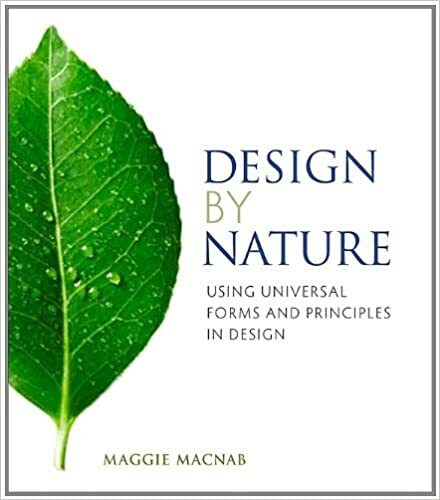 In Design by Nature: Using Universal Forms and Principles in Design, author Maggie Macnab takes you on an intimate and eclectic journey examining the unending versatility of nature, showing how to uncover nature’s ingenuity and use it to create beautiful and compelling designed communications. Written for designers and creative thinkers of all types, this book will guide you through a series of unexpected a-ha! moments that describe relationships among nature, art, science, technology, and design. Through explanation and example, you will learn about natural processes, consisting of everyday patterns and shapes that are often taken for granted, but that can be used effectively in visual messaging. Explore the principles all human beings intuitively use to understand the world and learn to incorporate nature’s patterns and shapes into your work for more meaningful design. By recognizing and appreciating a broad range of relationships, you can create more aesthetic and effective design, building communications that encompass the universal experience of being part of nature, and that are relevant to a worldwide audience. more elegant typefaces using grids of similar simplicity a few years later, the committee finished its DIN typefaces. Economical and political problems delayed its official release as DIN 1451 until 1936. Although the DIN 1451 typefaces have seldom been used for representative lettering, or in advertising or propaganda, they were used for general purposes, such as signposts, traffic signs, and wayfinding signage. They continue to influence the unofficial typographical identity of Germany today.